Johnson comes over from National Review. With a new administration preparing to enter the White House, Politico announced some additions to its political reporting team. 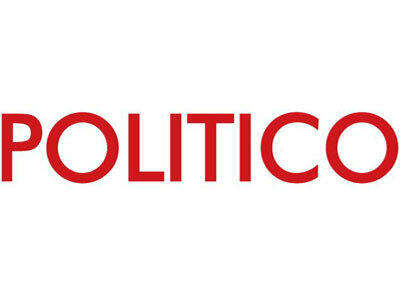 Eliana Johnson, whom Politico “has been trying to nab…for years,” according to a note to staff from editor Carrie Budoff Brown and editor in chief John Harris, is joining as a national political reporter covering the Republican party. She’s coming over from National Review, where she has been Washington editor. Prior to National Review, she had been a producer at Fox News Channel and a research associate at the Council on Foreign Relations. “We’re thrilled she finally gave in,” write Brown and Harris. Her first day is Nov. 22. Meanwhile, Tara Palmeri, who has been a reporter based out of Brussels for Politico Europe, is returning to Washington, where she will cover the White House. “Prior to joining POLITICO, Palmeri reported on New York City politics for the New York Post. She started at the newspaper in 2010 as a reporter for ‘Page Six,’ NYC’s premier gossip column, often taking calls from a guy named Donald Trump,” write Brown and Harris. She starts Nov. 28.